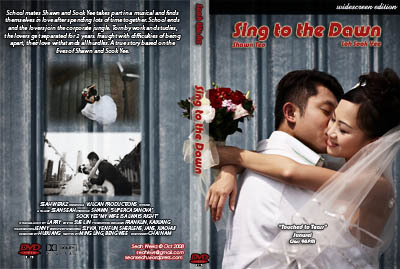 Finally completed Shawn & Sook Yee’s DVDs. OOh I like this cover v much so I’m putting it up. Kudos to William for the ssssnice photos. I love to work with their gang because their photos are so cool. Makes my life much easier! Otherwise I can’t tolerate and end up PSing the photos big time… Argh.. “pai tan”..!! !